Hey Woolites! 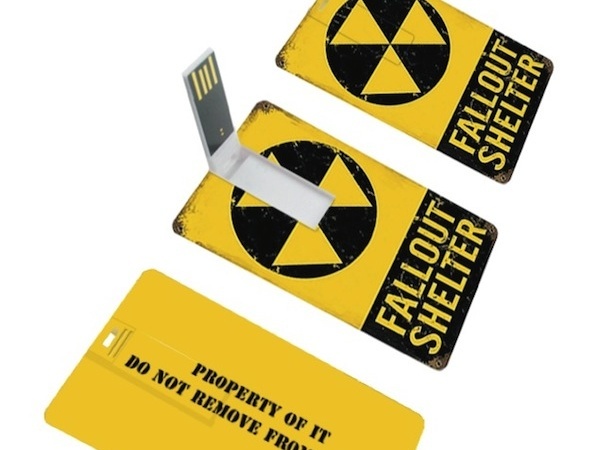 Thanks to Hugh, who is as always an amazingly nice guy, has donated two of his Fallout Shelter USB drives to The Down Deep to give away. The drives include the omnibus editions of Wool and Shift, as well as Dust. You can take a look at them in Hugh’s video below. Alexandra Alter from the Wall Street Journal discusses in the video above whether Wool is the “next Hunger Games”. They talk about Wool’s rise to fame and mention that Hugh has sold over 500,000 digital copies of Wool so far. Amazing! With Wool’s publication date approaching (March 12!! ), it’ll be amazing to see how much higher Wool can climb. I can feel it in my bones that when the rest of the US can get their hands on physical copies, the book will soar to amazing heights. Have you pre-ordered your copy yet?